Wednesday rolls around pretty quick, don't ya think? Time once again to share a look at food highlights from the week. This week I've been really craving fruit a lot. 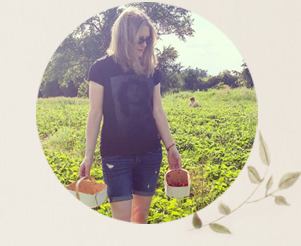 It goes along with my desire for all things spring (most of those things will clearly have to wait). Quite frequently I've been running fruit through my Yonanas machine to turn it into tasty "desserts." But I have also been making fruit salads and fruit platters for the whole family - like this after-school fruit plate, above. And I've been tossing lots of strawberry slices on top of salads this week too - like this one, above, which I also topped with pecans. This was my lunch one day, featuring leftover breaded tofu with plum sauce and vegetable fried rice. 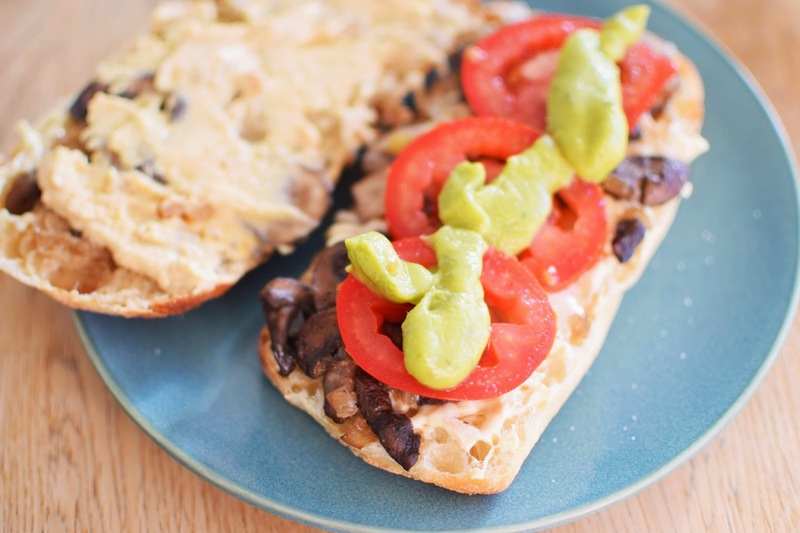 Another day I had a sandwich with hummus, sautéed mushrooms, tomatoes, Daiya vegan mozzarella shreds and guacamole. I had more Daiya vegan mozzarella shreds another evening. My husband made pizzas on some flatbreads we got at Costco. My pizza was topped with mushrooms, black olives and the faux cheese. We also had a cucumber and tomato salad in a vinaigrette. 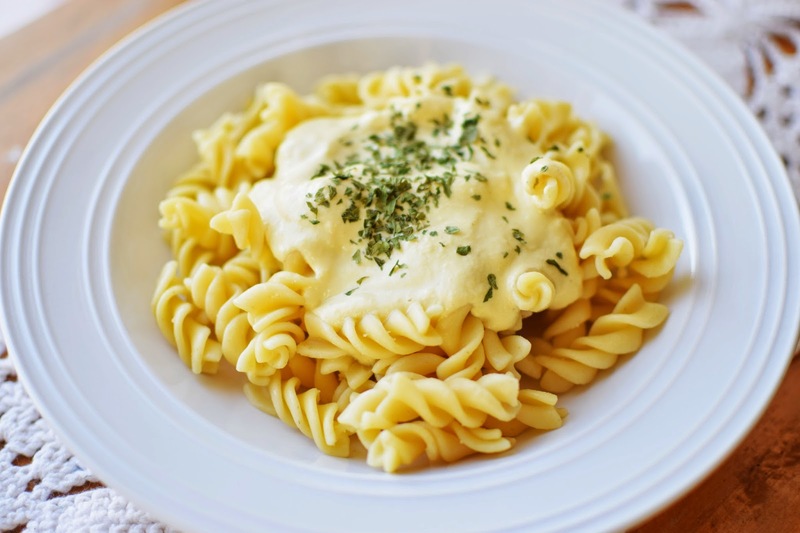 For dinner one night I decided to try out this Vegan Garlic Alfredo Sauce recipe. I haven't had "real" Alfredo for a really long time. This one is made with soaked cashews, nutritional yeast, onions and other simple ingredients. It's pretty quick to whip together and it's quite tasty. I might use a little less nutritional yeast next time. I gave my husband a taste (he was eating something else for dinner) and he was impressed by how closely it resembled true Alfredo sauce. And he's pretty particular. This sauce might not be exactly like the Alfredo sauce you're used to, but it's yummy and it's much, much healthier! I made Easy Vegan Chickpea Patties again this week. 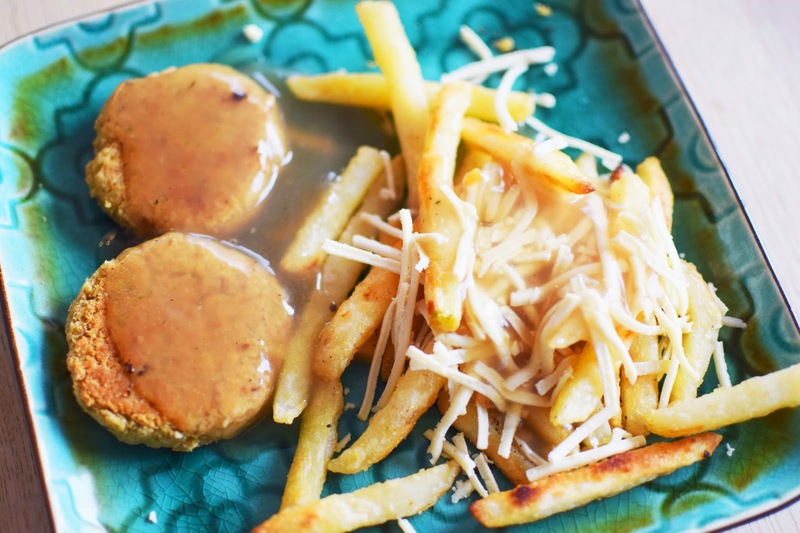 This time I really felt like indulging, so I cooked up some store-bought fries and smothered them in the aforementioned vegan cheese shreds and simple gravy. My own quick vegan poutine. It was a slightly decadent and also delicious meal. What are you craving this week? Fruit, poutine, (maybe sushi!) or something else all together? I saw one of your plates had blood orange on it. What does that taste like? I've been interested to try it but the colour is a little off putting to me. Your meals look amazing but I couldn't do faux cheese. I have tried it before when I was on a dairy, wheat free diet but it tasted awful to me and didn't melt at all. Thanks for the great posts. I enjoy so much your posts about food! 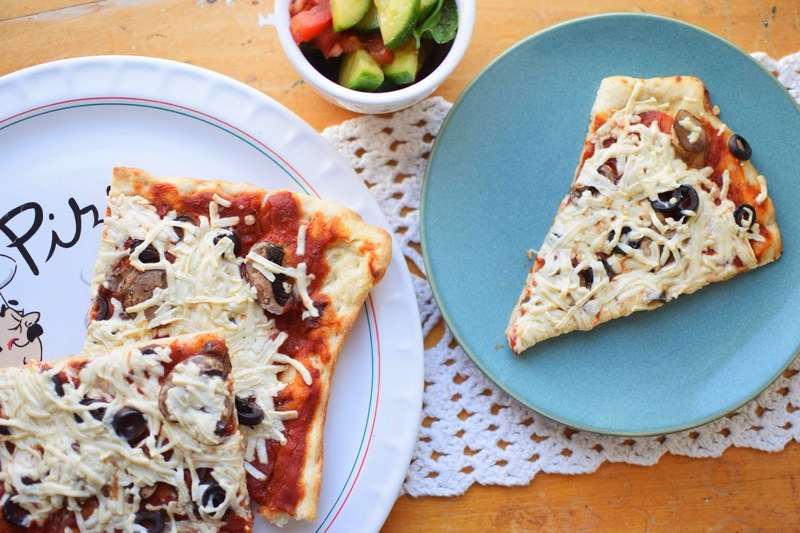 I actually like vegan cheese, but I am the only one in our house to do so :). I want to try to make cheese out of cashews, but didn't get to it yet. Yumm!!!! Those fries sound so good ;) When I was a vegan, I'd put nutritional yeast on my friends for a "cheese fry" like treat! It's - at least I think so - my first time commenting here so hi! All of your pictures are amazing - and by that I obviously mean everything looks delicious, too .I've been meaning to try that same Alfredo recipe and now I think I really need to. Everything looks delicious!! I recently tried out a Vegan Alfredo Sauce and added some sautéed mushrooms and onions to it. It was delicious. 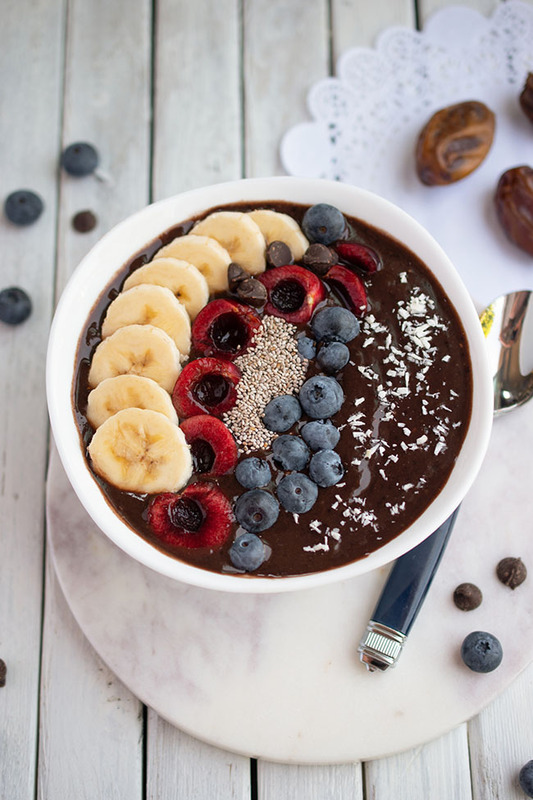 Lately I've been craving smoothies for breakfast, which is not like me at all. Usually I eat warm oatmeal! So many pretty colors! 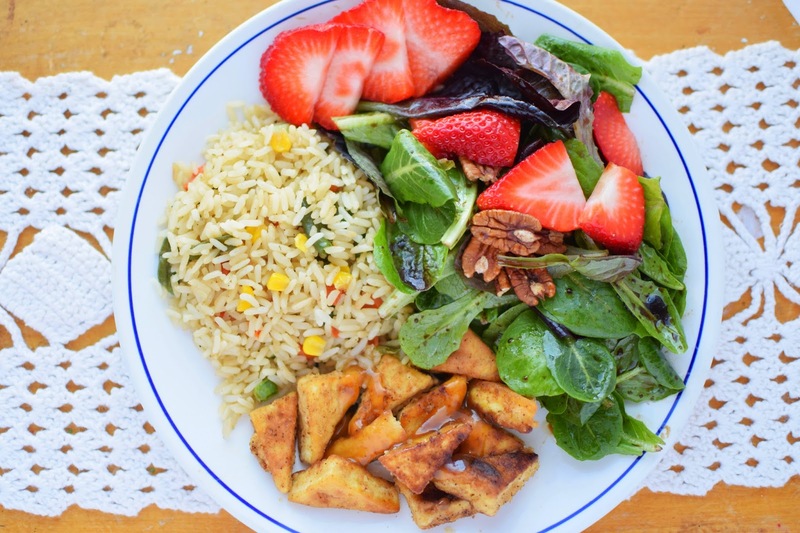 That tofu, rice, and salad looks like a winner. 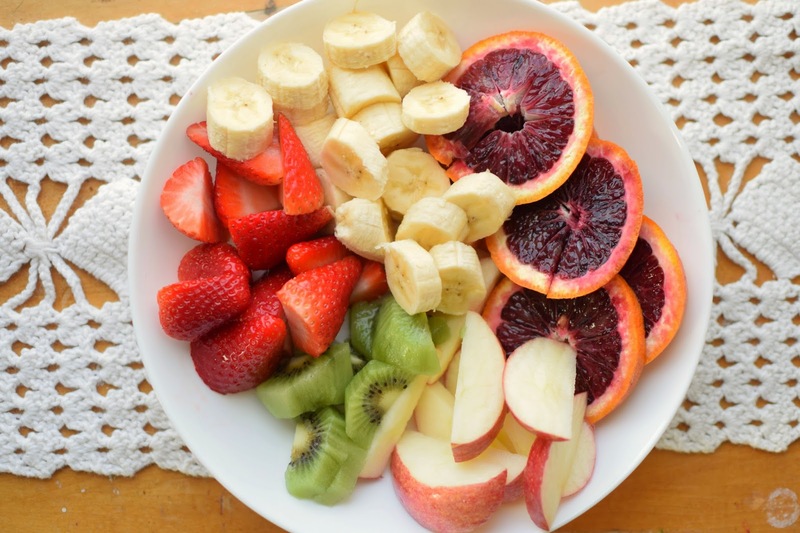 That fruit plate looks so good! I wish someone would make one for me--I'm way too lazy to cut up all that fruit!